Your wedding day should be a unique and spectacular occasion – a true representation of you and your taste. Every presentation and every little detail should be nothing less than perfect. This day only comes once, but the memories should last forever. 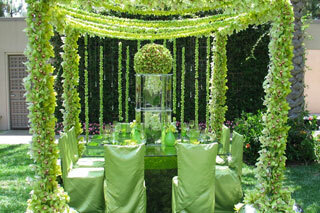 Wedding planning is both a tremendous honor and a very rewarding responsibility. 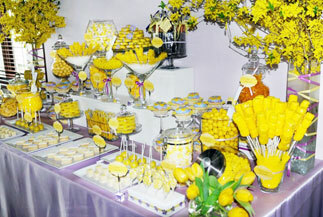 For Only Perfect Wedding's, the importance of the event is what makes our efforts that much more gratifying. Our goal is perfection, and it's a goal that we take very seriously. From the very first steps of your wedding planning up until that special day, Only Perfect Wedding's is here to provide the proper insight and direction. Whether you’re in need of extra help with design, or you’re looking for someone to coordinate the whole event from start to finish, we have the experience and attention to detail that’s necessary to make your wedding day unforgettable. Only Perfect Wedding's planning services consist of everything you can imagine for your Perfect day, from Concept thru Completion. We are at your service to make sure everything goes smoothly, even if that means last minute changes or emergency solutions if something were to go wrong. This is your wedding and it's our job to ensure perfection. No request is too big, so feel free to inquire with exactly what you envision on your special day. 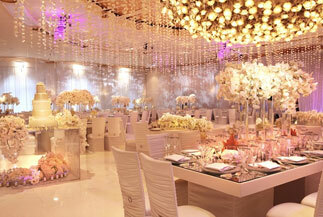 Our mission at Only Perfect Weddings is to design and execute the most magical experience for you and your guests. While you savor the moment and create treasured memories, we work tirelessly around the clock to ensure that nothing less than perfection is achieved. Ranging anywhere from an exclusively lavish affair to a fantasy dream wedding, we take pride and admiration in conceiving moments that last a lifetime. Our Brides receive meticulous service which provides them with absolute serenity throughout this experience. Only Perfect Weddings will give your special day the Cinderella royal treatment it deserves, taking it from a potentially humble occasion to a grand, noble celebration. While infusing creativity into each individual wedding, our work is supplemented by personal touches that reflect your individual style and character. Through the guidance provided, we take great pleasure in granting you this first chapter in your Only Perfect Parties wedding tale. Once you have decided to have a destination wedding, the first thing in your to do list is to find someone who can help you with all the preparations. 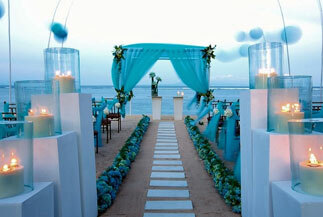 Destination weddings can get complicated at times. After all, carrying out wedding preparations when you are miles away from the venue is not an easy feat to handle. 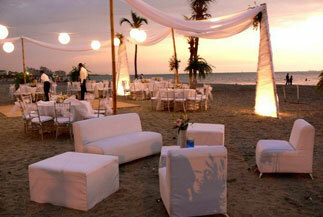 What you need is the assistance of someone who already knows the ins and outs of destination wedding planning. Only Perfect Weddings couples have a unique vision for their wedding, one that’s anything but cookie cutter, and that’s why we’re a perfect fit! Our couple’s want a partner by their side from the beginning that’s as invested in their wedding as they are, and that’s why they choose us. Unlike most destination wedding planners, which are actually just travel agents, we are both Wedding Planners and Travel Agents, which make us unique in that we can produce the wedding of your dreams, at a resort that will exceed your expectations and offer you packages that will fit any budget! With expertise in the Caribbean, we know how to find the perfect resort destination from Antigua to Turks and Caicos and everything in between. We have extensive connections in the United States and Internationally, so whether you are planning your wedding in Napa or Paris, we’ve got you covered! Our recent partnership with GT International Travel gives you access to exclusive resort savings and upgrades to many of the most sought after destinations! Have everything planned, but still want expert management to make your day smooth and flawless? The Glam Couture Package provides the critical support that you require during the days leading up to your wedding, including knowledgeable guidance through your rehearsal and all of the important activities at the ceremony and reception. Through unlimited email and phone correspondence, as well as strategic walk-through and wrap-up meetings, we will determine what is most important to you, along with exactly how to achieve it. Count on Only Perfect Weddings to coordinate your vendor operations and skillfully guide your wedding party through the wedding day. With our help, your walk down the aisle will be a "Glam" one! If you have developed a vision for your wedding, and perhaps have some of the major suppliers and venues secured, but still need support putting the rest in place, the "Luxe Couture Package" is for you. During our emails, phone and in-person consultations, we will guide you through selecting your remaining vendors, assembling a plan for your design and logistics, and creating a timeline framework that allows everything to fall in to place. The Luxe package includes all of the rehearsal and wedding day services included in the Glam line, so you can look forward to the same smooth event and lasting memories. • Includes all services from the Luxe Couture Package. "Haute Couture" brides can be described in one word: BUSY. Allow Only Perfect Weddings to take care of all of your wedding details, from engagement to "I Do", and all the way through your grand departure. Through extensive consultation, we will help you develop a wedding vision and to select the professionals who will best deliver what you need and deserve. We will help you choose your design elements and create an aesthetically pleasing atmosphere, complete with something to entice all of the senses. Our team will keep track of the little things, without losing sight of the big picture. Of course, we wrap up the Haute package with all professional execution of the "Glam" services as well, ensuring you have a wonderful wedding day. Brides who want it all need the "Haute Couture Package".